As many of you know, I share my home with Max, a boxer-mix that, despite being 4 years of age, remains more puppy than dog. I’m told it is the boxer in him and that they never grow up. What luck! Now, I’ve no intention of using today’s post to detail his many transgressions. Rather, since tomorrow is the 4th anniversary of his adoption, I thought I’d share the recipe for one of his favorite treats, jerky. When Max was a puppy, I decided to switch him to a grain-free diet once he outgrew his puppy food. I regulate his diet in other ways but I’m no expert and this is not the forum for that discussion. (If anyone is interested, drop me an email and I’ll be happy to explain what Max is fed and why.) The only grain Max eats now is the wheat flour in the peanut butter biscuits I bake for him (recipe courtesy of Linda at Savoring Every Bite). He, and all of his mates, love those biscuits and I’m not about to deprive him of them. Much to his delight, he also gets one “all natural” Bully Stick per day and a couple of jerky-type treats. It’s the jerky treats that bothered me. Speaking with my Traveling Companion, we were both concerned about the meat and preservatives being used to make them. The brand that I had been purchasing, for example, was an American-owned company but the jerky was processed elsewhere. I didn’t like the sound of that and decided to see if I could make my own. As it turned out, making dog jerky at home is a surprisingly simple endeavor, although some web sources insist on complicating matters. Some, for example, soak the meats in marinades and almost all season them before baking in a very low oven. Although I tried one such recipe for my first batch, I never did it again. My jerky treats are 100% meat that is intended for human consumption and absolutely nothing else. The next batch I made was beef, followed by one of chicken. Both were baked on cooling racks that were placed on baking sheets. I thought that this would help the meat strips to dehydrate more evenly — and it did. The problem came when I removed the second batch, the chicken, from the racks. Some of the racks’ non-stick coating stuck to the chicken strips. It may have happened with the first batch but, being beef and dark-colored, I hadn’t noticed. So, rather than risk my canine tasters’ health, both batches of jerky and the racks were taken to the garbage. I now have new racks but they aren’t necessary to get the job done, as you’ll soon see. No matter what type of jerky is to be made, I find it easier to partially freeze the meat before cutting it into strips. I buy chicken tenders when on-sale and use them for Max’s chicken jerky, but any skinless, boneless part of the bird will do. Try to slice equally sized pieces and always cut with the grain. 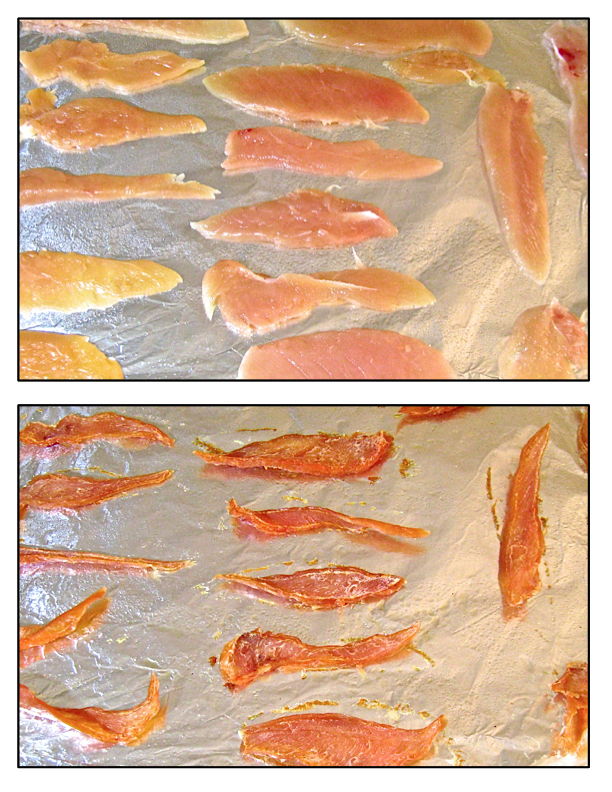 When using tenders, I cut each in half, creating 2 long strips of about equal size. (Exceptionally large tenders can be cut into 3 strips.) When making beef jerky, use the cheaper cuts of beef. No dog will mind if you use chuck instead of tenderloin. Cut the meat against the grain into thin strips, equally sized. No matter the kind of meat you’re using, once it’s cut and fully thawed, place some of the strips, evenly spaced, between sheets of plastic wrap or wax paper. Use a meat pounder, rolling-pin, or even a frying pan to flatten the strips until they are all of equal thickness. This will insure that they will cook evenly. Place the strips on baking sheets that have been lightly sprayed with cooking spray. If using racks, spray the racks with cooking spray, place on baking sheets, and place the meat strips onto the racks. In both cases, no strip should be touching another. Place the baking sheets in a pre-heated 170˚F (my oven’s lowest temperature setting). Bake 6½ hours, turning over each strip every 2 hours while rotating the trays. When finished, remove, cool, and store. Being I don’t use a dehydrator nor preservatives, I’m very careful to ensure the jerky doesn’t spoil. Using airtight containers, I store in my refrigerator only as much jerky as will be used in a 3 day period. All of the rest is kept in the freezer until needed. Do not make so many that they’ll be in the freezer for more than a month. Of course, if your dog is at all like Max, there’ll be no need to thaw the treats. Now he comes running every time he hears me open the freezer door. Every dog owner learns that abrupt changes to the pet’s diet can result in digestive problems. That’s because it takes time for a dog’s digestive system to develop the necessary bacteria to properly process a new food. Depending upon your dog and its diet, you may need to introduce these treats to it slowly to give its digestive system time to adjust. This is especially necessary if you’ve chosen to season or marinate the meat before cooking. It shouldn’t take any more than a couple of days for the dog to get “acclimated” and then you’re free to give your pet as many as you like. Although I wrote this entry several weeks ago, I scheduled its posting to coincide with Max’s adoption date. Unfortunately in the interim, a friend sent me a link to this MSNBC article of March 13th, 2012, which seems to confirm our worst fears about some brands of store-bought jerky treats. Be aware: just because the packaging says it is an American-owned company does not mean that the meat or finished product originated in this hemisphere, let alone country. Google is your friend. This entry was posted in Dog Treats, Gluten-Free and tagged Beef, Chicken, Dog Jerky, Dog Treats, Italian by ChgoJohn. Bookmark the permalink. How very wonderful that you make Max home made treats. I agree that if we don’t eat the manufactured product ourselves, we shouldn’t feed it to our pets. It’s so gross that some of these brands don’t control their offshore manufacturing more tightly–I guess they feel they can lose customers and not affect their bottom line. So disgusting. My friend Kim has an English Bull Dog and she sometimes brings her into our studio. For some reason people just think they can give her any dog treats (weird isn’t it? You wouldn’t dare give a child a treat without asking the patents first). The result is a VERY STINKY studio. Thank goodness for the Lamp Berger and windows that open! Your Max looks like a bundle of mischievousness! Those eyes can certainly be used against you John, beware of the puppy eyes! Thanks, Charlie. Prior to Max, I had 2 dogs that died within a year of each other, of cancer. I’m bound and determined to give Max the best shot at a long life as possible. These treats are so easy to make and cost less than half of the store-bought. Best of all, as you’ve mentioned, I know exactly what Max is eating. The peace of mind is worth whatever little effort is required to make them. Filing this away until I have dogs. Great post John! Such commitment to your pooch to make these treats! Max is one lucky dog! I see from the video that, like my now departed feisty Miniature Schnauzer Fritz, he has no concept of relative size and will happily tackle dogs far larger than himself. Must be those treats that give him such a sense of invincibility! Thanks, Mar. Actually,in the video, Max is the larger of the two but, you’re right, he has no concept of size. He still thinks he’s the size of a puppy and will always seek out the smallest dogs in the dog parks and beaches. He’s very gentle with them, especially the puppies, but it sure does scare the owners to see this goliath charging their pups for the first time! Sorry to hear that Fritz is no longer with you. Do you plan on adopting another dog? Oops, my mistake! Well then, I agree, Max is a gentle guy. I had Fritz for 13 years and he died 2 years ago. I always said that with 3 teenagers in the house for many of those years, it was wonderful that at least Fritz was excited to see me come home! I offered to look after my daughter’s Black Lab once, and he never went home. After 5 years my son adopted him. No plans for another dog now, as my partner has bad allergies. We could look at a non-shedding dog, but life is too busy right now to give it proper attention. Some day in the future though it would be wonderful to have another dog! They are such steadfast, adorable companions (mostly!). No problem, Mar. As much as you may want a dog and allergies aside, I’m glad you realize that, for right now, you haven’t the time for one. Too many people don’t think that way and end up with a dog that deserves better treatment. As you say, though, they make great companions. As much trouble as he gets into, I cannot imagine this house without Max charging through it. I read the linked article – it definitely sounds like you are doing the right thing. Max looks like a nice dog – Boxers have very friendly personalities and they love to play, as your video illustrates. Thanks, MD. What was particularly upsetting about the article is that Max had just finished a bag of the the same treats that were pictured in the article. That was it, for me. Making my own jerky is such a simple thing to do and mine are less than half the cost of store-bought. It’s really a no-brainer. Oh, I love saltwater tanks, but what a project, and the fish are so expensive. Beautiful though. I had seahorses, and hermit crabs if I remember, and the most vibrant colors, but I go on. Yes, there’s nothing quite like a marine tank. Mom would visit, pull up a chair in front of one, and sit there as if watching TV. It was all going “swimmingly” until one of the cats jumped on top of the tank, knocking the light into the water, and electrocuted everything in it. It was just too costly to start over and I gave the tank away. Even so, I must say that I enjoyed the tanks very much. I love your dog Max. I had a boxer growing up, we called him Skipper. What a wonderful owner you are to treat your dogs so special. Personally making their treats is priceless. I know the dogs enjoy them. How could they not feel the love shown towards them. Thank you, Francine. Funny. When I was a young boy, my first dog was a puppy named Skipper. How I loved that dog! Making these treats is such an easy thing to do and I have peace of mind knowing that Max is getting “good” food and not garbage. It’s well worth the effort. Those eyes, so mischievous, hard to not give in when they are staring at you. Then looking so angelic when sleeping. If only more people would read the label on processed food packages, whether for humans or pets. Max is so fortunate and you obviously enjoy cooking for him. Oh, Tanya. This was good. ((laughing)). Cute video of Bea and Max. My younger brother and his border collie, Ozzy, will be moving in with us sometime this year. Ozzy prefers duck treats, but I bet he wouldn’t turn these down. Thank you, Sharyn. A border collie? That will be fun. They’re such smart and energetic dogs. If you — or your brother — decide to make treats for the pooch, you can’t go wrong with Linda’s peanut butter recipe or this jery. Max and his buddies all love them. Max is such a handsome chunk of a dog and so lovely to hear he has such character and personality to go with it. Lucky dog and lucky owner! Thank you, Debra. Yeah, Max is something else and that Bea is a real sweetie. I was quite upset when I read that MSNBC article, especially considering Max had just finished a bagful just like the one pictured. Now that I know how easy they are to make — and relatively inexpensive — there’s no reason to buy them ever again. If you Brother’s dogs and “pony” 🙂 are like Max and his chums, they’ll love these jerky treats. Of course, they’ll probably bother you no end once you bring them some. It seems like only yesterday that Max the puppy rode back in my lap on the car ride to your home. (Sunrise…Sunset…Sunrise…Sunset)…I think I’d need surgery if he tried to sit in my lap today. What a cute baby, tho. He’s worth all the time and trouble to make those puppy treats. Yes, he is and it’s so much healthier for him. And, really, it sin’t much trouble. Slice & bake. Cheese making is harder! Thanks for sending me the link to that article. I hope all the dogs in your neighborhood don’t read this or they will all be at your door! Max is a lucky pup and a very cute one too! Love the video of them playing! I’m so impressed too when I saw that pop up! My pups love those jerky treats but I did hear of the warnings and sadly stopped giving it to them. But now… they are going to be so excited and happy when I tell them John has the answer!! Home made jerky! And I my corporate kitchen has a sheet pan! Well this is a pleasant surprise! Glad to hear from you, Linda. I thought you’d be too busy to comment but would one day when things calmed a bit for you. Yeah, Max is a good pooch — even if he insists on trying my patience at every opportunity. These treats are so easy to make and, best of all, my kitchen stays pretty cool in the Winter. Having the oven on, even at only 170˚, warms it quite nicely. So, I make jerky whenever we have a really cold day. I’m so glad you dropped by and hope all is going well for you. Feel free drop a line whenever you feel like. Take care, Lynda! I cant even explain how my whole life has changed but each day its getting better. Not being able to feel settled is hard for a “home n family” girl like me! Being in Atlanta now I CAN have my oven on low for hrs!! It would have been painful to do so in Florida!! I can only imagine the mayhem! I was 25 when I moved here and that was bad enough — and I didn’t have 10% of the possessions I do now. I hope you find and move into your own home real soon, Lynda, so that you can get settled and establish a normal routine. Good luck! Happy Adoption Day dear Max. You know by all the wonderful comments what a fortunate pup you are. You sure are cute. I would eat your treats and know I was getting good stuff! Perhaps appetizers for guests. What acute hearing you have to respond to the freezer opening. On Saturday I was at a party and the host had a photograph from an old journal. It was a picture of Pavlov and his dogs. Seriously. I know you would have liked it, Max. I am forwarding your post to the Paleolithic Diet men/dog lovers. I know they have made their OWN jerky but why not for their dogs? Like us, the best for your dog would be home-made, preservative-free food. I do not have a dog yet, but I am keeping this recipe on hand for when I do. Thanks John for sharing this with us. Things today are so different than when I was a boy with a dog. Now, we can search the internet for the proper food and diet for our dogs and to learn if there are problems with a particular food or treat. And we have much healthier dogs as a result. Thanks for stopping by today, Colline. I think we are now also more aware, as a society, that we need to choose carefully what we eat. I so agree, Colline, and I find it infuriating that our labels don’t fully disclose all we need to know. Why not tell us if the foods we eat are genetically altered, for example? Hopefully, increased awareness will bring about demands for more complete and honest labels. We would certainly all benefit. I had expected you to tell me that you’d been doing this for years, Celi. Well, no matter. My last 2 dogs died of cancer within a year of each other. I saw Max’s pup pic, fell in love, and adopted him. I learned later that cancer is the number one killer of dogs and boxers have the highest incidence rate. 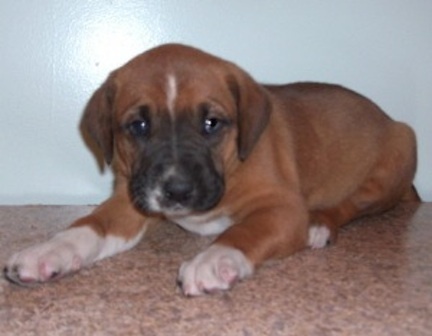 Max, even though a mutt, is half-boxer and is at risk. So, I started doing some investigating and over-hauled his diet. Making jerky treats was the last piece of the puzzle. I don’t know if any of this will extend his life but I do believe it won’t shorten it. I hope TonTon and Big Dog like these as much at Max does. Enjoy today’s warmth, Celi! Thanks, Kristy. Yes, Max is all that you said — and so much more. It’s the latter that has given me fits, at times, but now we’re stuck with each other. I can’t see this house without him charging about. Max is one lucky puppy!!!! Thanks, BAM, I think we’re both pretty lucky. He sure has brought a lot of laughter to this house. The pictures and video are adorable…what sweeties! We love Boxers. Our Vizslas love to play with them at the dog park because they have similar play habits. Our dogs are also grain free and eat bully sticks. They also have daily raw, organic, carrots. I’m going to have to make them some home made jerky! I had no idea it was this easy. My convection oven’s lowest setting is 300 degrees but they tell me I can use the warming drawer (that also has temperature settings) to dehydrate “things”. I’m going to give it a try! Thanks, April. Max has his Vizsla buds at the dog park and, you’re right, they play very well together. And although Max is grain-free, I switch his food monthly to a totally different company and ingredients. One month it’s seafood, the next red meat, and the last poultry. I’ve also kept a few proteins completely out of his diet in case he develops allergies. I want to have alternatives available. I buy hos bully sticks when on sale at an online company. They usually end up costing less than half what I was paying at the pet store. If interested, I’ll send you a link. Even when not on sale, they are cheaper than when bought at a pet store. I look for the sales and then stock up. Max is certainly big enough for the 12 inch size but I usually get him the 6 inch — they’re cheaper, unless I see a great sale in the 12 inch. I hope this works for you. Some friends and I use this site all of the time. We do a grain free food with venison and sweet potato. Abigail, our female Vizsla was having major kidney issues and that cleared her right up. It was so serious that they thought we would have to take her to Washington State University to figure it all out. Luckily, after talking to a lot of people and finally speaking to a very well educated small pet feed store owner, we came to the conclusion that the food that we were feeding her (which was still a very high quality food and grain free) was too high in ash. Of all the things! So thankful we were able to get it figured out. I know what you mean. Max was getting constant ear infections until I switched one of his foods. After losing my last 2 dogs to cancer, I decided to try a different path. Feeding Max the same thing his entire life may open him up to eating some ingredient which in 5 years may be found to be cancer-causing. So, I switch him between proteins and companies each month. If “ingredient a” is found to be cancer-causing, I hope it will only be present in 1 of the foods, thereby cutting his exposure to it by 2/3. He’s used to it and it only takes me 2 days now to convert him from this month’s food to the next. Time will tell whether this will work. So far, though, he is one healthy, active dog. Awww your dogs are so cute! I wish to keep a dog in the future as well, and your jerky treats will definitely come in handy! Yes, that articles subject matter is terrible and all the more reason to watch what we feed our pets. What a great post! I will forward this to my dog lovin’ friends. Some of them buy doggy treats from a local doggy bakery in town. But now they can make their own! I will have to read the MSNB post, it’s sad that these they allow these things to happen. I know, when I do nutrition counseling with my clients. I tell them just b/c Kellog is a Michigan based company doesn’t mean the ingredients to their products (including Morning Star Farms products) are US grown food ingredients. Many of the ingredients come from other countries b/c it’s cheaper. BTW Bea and Max are adorable! One day I’ll break down and own a pet dog for my boys sake! John–Such a sweet dog you have! Max would surely scare away my skiddish Italian Greyhounds though. I think there are many chef/dog owners out there who would like to try making their own pet food. Thanks for the inspiration. Thanks, Michael. Yes, he’s a great dog — a little trying at times, but a good dog most often 🙂 These jerky treats are a snap to make and, after reading that MSNBC article, I’ll never buy them for him again. Italian greyhounds are such beautiful dogs. A couple go to the dog park and they make quite a pair. I bet yours do, too. Of course I open your post in front of Liz (who has been bugging me for two years about adopting a dog) and we see one of the cutest pics of man’s best friend. 10 minutes of we need a puppy now I’ve had to endure. When we are settled we’ll reenter the doggy world and thanks you are well prepared with safe treats for him or her. Hope you’re doing well my friend. cheers! Thanks, Jed, for stopping by. I realize how busy you both are and hope things are going well for you. Hang in there! They’ll love ’em and you won’t worry about giving them something that will harm them … A win/win if ever there was one! I do believe that your little Max is just about as spoiled as my Bella dog! 🙂 I may have to give this one a try I know she’d love it. That’s kind of funny. We adopted Bella after the loss of our little Max. That article and reports since really scared me, Christina. In fact, I had a bag of those pictured in the article on my counter. I finished reading it and immediately threw the bag away away. This jerky is very easy to make and about half the cost of store-bought. I store them in the freezer and used to thaw them before giving them to Max. Now, I just give them to him straight from the freezer. He likes ice cubes so he probably thinks he’s eating meat-flavored ice. I loved the video and pictures of Max! Love the doggies! The dog treats looked very, very delicious! I can only imagine having owned pets my entire life that every time you begin to prepare the ingredients that Max must be excited knowing what treat is coming up! You are a good pet owner! Hi John, I read this post a couple of weeks ago and decided to follow your example and make some for my troops. I usually dry liver for them but I thought they may like a change. I cut the meat very, very finely and dried it in the dehydrator. It didn’t take too long at all. Thanks for the idea. My darlings love it. 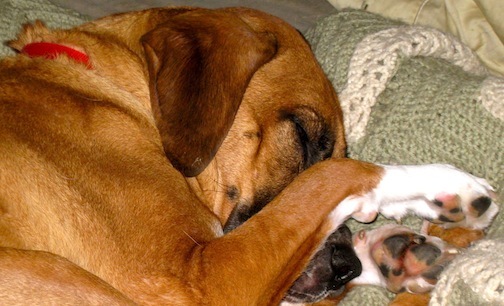 Another article was just posted that warned about the evils of some dog jerky treats. It just doesn’t make sense to take the risk. I make all of Max’s now and he loves them. Best of all, I buy the meat on sale and it ends up costing me half the price of the manufactured jerky. I’m glad your “darlings” love it. Thanks for taking the time to comment. Hi John, We have bichons and they are renowned for being prone to getting allergies. Luckily mine don’t. I am not that sure whether it is luck, or the fact that I make all their food and treats (except the dry biscuits they have for breakfast). Why risk it? Thank you so much for this recipe. I have made my Isabev chicken Jerky but as you said people on the web love to complicate things. I can’t wait to make these beef jerky for my girl. Again thanks. I’m so glad you found this post useful. 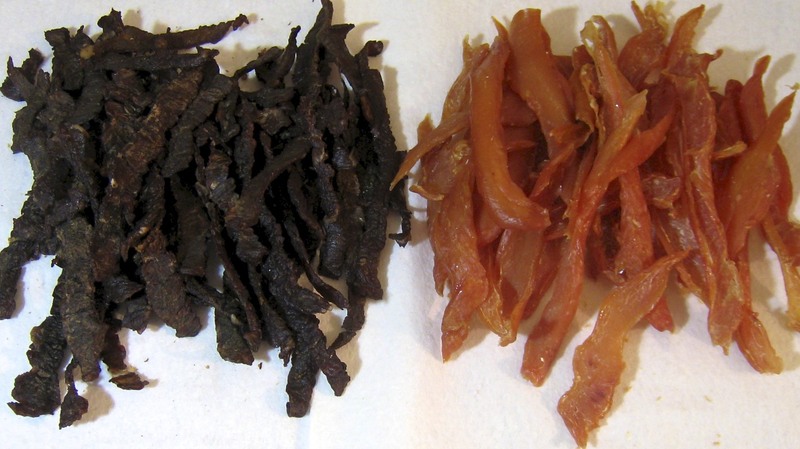 Jerky treats are so easy to make and, considering all of the problems being reported about the manufactured treats, it’s well worth the time to make them. Thanks for visiting and taking the timt to comment. This is great — I also am increasingly concerned with the stories I have been reading about sources for dog treats, in particular. I try to read the labels but as you point out, they are not always fully forthcoming. Thinking the dog treats will be a good project for my boys to tackle! I agree with everything you’ve said. Making Max jerk is not just cost-effective but so much safer. I’ve read too many horror stories about jerky that’s not manufactured in the US and Canada. I just don’t want to risk it anymore. Thanks for the tip about salmon jerky. I hadn’t thought of that one but I do know what salmon does “for” his breath. And yes, I buy all of this stuff on sale and freeze it until I need it. Thanks, Susan. My “pup” is 5 years old and just starting to slow down. 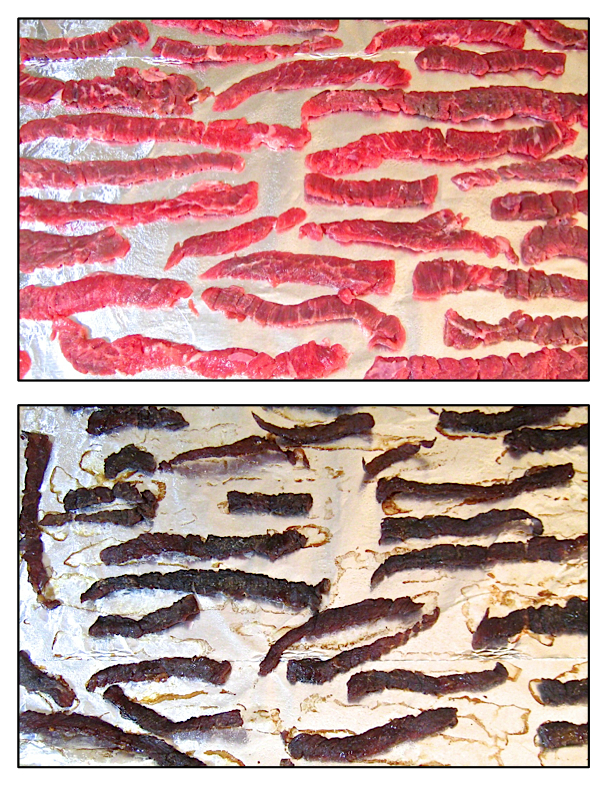 This jerky really is easy to make and a prior commenter makes salmon jerky, in the same way. My Max loves them and I’ve no worries about what I’m feeding him. I hope they put tighter controls on pet food. This kind of stuff cannot go on. Although we’re owned by a cat, we certainly are pals with plenty of dogs. I had no idea about the dangers of jerky treats! I’ll be spreading the word to a bunch of people, along with your recipe. Really great recipe, and a real eye opener. Thanks. This is great; I’ll be making these for our dogs, too. As I’m trying to keep our meals as non-chemical laden and fresh as possible, so it is and shall be for Toby and Trixie. Thanks for this recipe! I just came across your recipe and definitely am going to make it. Our dog is a little 11lb Pomapoo and is already about 11 years old (collapsed trachea, deaf, etc.) He requires a lot of attention due to the cough, am and pm hydrocodone syrup, etc. making my wife unwilling to replace him when he’s gone (she also has an older cat, which she will replace, assuming we don’t need replacing). We fed our little dog the Chicken treats from “that” company for many years before they removed it from the market, with no observable ill effects. Relatively cheap from Sam’s. All the US made Jerky is way too expensive, and you recipe appears to be relatively simple. My main concern is that our “Punky” wants nothing but Jerky to eat. I believe that I have spoiled him and should be restricting the amount of Jerky he gets. He has dry food out all the time, but hasn’t been eating any of it if he gets lot of Jerky. Lately, I have only been giving him one stick in the AM and one at night. Hard to do, when he loves it so much. How much Jerky do you give your (big) baby (realizing the difference in body weight)? Welcome, Ted! My Max is an 80 pounder. (He’s a rescue and I was assured he’d grow to 35 pounds, 40 at the most. Guess again!) I give him about 3 jerky treats a day. He loves them and, at his size, they do little to affect his appetite. I, too, bought treats from that company and was appalled to read that first article. I’ll never buy another jerky treat, no matter how safe they are supposed to be. When I first started looking up recipes, I was surprised how many people were adding spices and salt to their dog jerky. Max could care less if I marinate his jerky. The fewer additives the better, as far as I’m concerned. I hope this helps and that you find a way to get your dog the nourishment he needs. Awesome! one for the books. will be preparing this soon. I totally agree that our animals should eat healthy too. I grew up with dogs and we cook them food every day. Our German Shepard loves watermelon for treats and our flat coat retriever loves mango and avocado. We never bought dog treats because there is so much junk in them. Let’s see how they like this…. I’m guessing they’ll love it! Talking about treats, these treats sound like a great way to train my puppy beagle. io ho 5 gatti, ma nessun cane, ne vorrei perché li amo moltissimo, ma assentandomi spesso per lavoro non potrei accudirlo come vorrei, i gatti sono molto più indipendenti ed ho una persona che pensa a dare lo il cibo, credo che un essere umano non possa considerarsi tale se non ha animali per amici, quindi sono molto lieta che anche tu condivida questo amore! I have 5 cats, but no dog, I would because I love them so much, but often assentandomi to work I couldn’t look after how I wish, cats are more independent and I have a person who thinks to give it food, I believe that a human being cannot be considered such if it has animals for friends, so I’m very pleased that you share this love! Popular guy you are, on this one especially. As you should be, such a meaningful post. I am so appalled by the things people find acceptable to feed “dogs”. Your devotion is endearing and rewarded. Thanks, Stacey. Since the bad treats came back into the news, this post has become one of my most read posts. They’re so easy to make and there’s no risk of anything improper happening to your pupsters. I agree with your food philosophy, too. Unseasoned people food is great for our animals. Table scraps, however, are just as unhealthy for our pets as they would be for us. How could they not be? Oh, and Max- love Max! I adopted my little “Nosie” Rosie from Petfinder in February 2013, the first night she was so distraught it sounded like she wanted to peel her skin off. The vet said there was nothing wrong on the outside no skin disorders. I immediately started to look at what she had been eating. There are 10 common food allergens which I started to eliminate from her diet. I have her on a raw meat diet that I get at a local natural pet food store. It seems to be working very well. Can’t seem to get rid of the ear problems though, she must be very yeasty. I decided to look again at the treats I had been feeding her and there is soy protein isolates in her natural duck treats. Back to the pet store, funny though I bought some new duck treats and just noticed underneath the package kind of hidden it says Made in China. Thank you so much for posting your recipe. I am going to make my own duck jerky from now on. You have to be your own advocate when it comes to what we feed ourselves and our loving pets. Hi, Karen. I’m so glad that you’ve found this post useful. We cannot control what goes on in other countries but we can insure that the stuff doesn’t enter our country unless it meets our standards. This shouldn’t be happening. You’re right, though. We have to be our own advocates. You’ll see that to make jerky, be it beef chicken, duck, turkey or salmon, it’s the same easy process — and best of all, there’s no artificial anything in them, nor salt or fructose corn syrup. Your Rosie will love ’em. I hope your Hungry Dog will love these. When it’s “Jerky Day”, my Max is like a kid in the kitchen when Mom is baking cookies. He absolutely loves ’em and I have no fears of sub-standard meat or questionable additives being used. They’re 100% beef or chicken fit for human consumption. John, Max is amazing!!! I agree 100% with you about pets’ diet – i try to feed Manya the least amounts of artificial foods i can! And i think it’s common sense that they really don’t need grains, i mean they don’t east them in the nature, why would they need them at home? I must try making these treats for Manya, i think she’ll like them! OMG, i did think to myself: what a concept! I will try this one for sure! If you use parchment paper, the meats don’t stick and they simply slide off. I use an Excaliber dehydrator and make jerky all the time for the dogs. I share with family, friends and neighbors. All the dogs love it and, like you, I only use human grade meats, that I trim myself. I also only use meat I grind myself, if I am making “shaped” treats, so I know there’s no fat in the jerky. Fats will cause the meat to spoil, AND it increases the calories in the treats. I hadn’t tried turkey. I thought it might be too bland. But, I’m going to try it now. I’ll only use breast meat, like I do with the chicken. I also add nothing to the meats. Plain 100% meat jerky. The dogs deserve it! I love parchment paper! LOL It makes things just slide off. It’s terrific for cookies, both dog and human. No, I haven’t tried salmon, but my little guy is THE fussiest dog on earth! I hate to spend the time and money on something he won’t eat. He even turns his nose up at filet mignon that I cook especially for him! No repeated meals for him! LOL. He liked cheese, luckily, so I put shredded cheese on his food. I’ve tried ham, but it has no flavor after being dehydrated. Beef is okay, and he sometimes eats it. Liver is the favorite of ALL the dogs, but they can only have a small amount because of vitamin A toxicity. He hates haddock and tuna, the only seafoods I’ve tried with him. Thought for the day: Lost yesterday, somewhere between sunrise and sunset, two golden hours, each set with sixty diamonds minutes. No reward is offered for they are gone forever. Great suggestion using parchment paper to cover the baking sheets. I’ve used it and have had no problems with it. The jerky comes out perfectly, as well. Yes, it does sound like you pupster is a picky eater. My Max could not be more opposite. There are very few things that he won’t eat. We’ve been to the Emergency Vets and called Animal Poison Control a few times because of his completely non-discriminatory eating habits. Now that’s he’s older he’s gotten a bit better — or maybe I’m just getting better at recognizing potential dangers. Thank you for taking the time to comment and, once again, sorry for not getting back to you sooner. There is no need for an apology, believe me! I didn’t expect a reply. I think it’s great that people share information. Cooper is the only dog I have ever had that is a fussy eater. It drives me crazy! LOL So, I’m always looking for recipes that are healthy and that will appeal to him. He loves liver! I wish it was something I could give him all the time! But, I worry about the vitamin A toxicity. I made liver jerky and ALL the dogs in my family and neighborhood loved it. I make it rarely, and give only small pieces once in a while. But it’s a real favorite with the dogs. The only liver they DON’T like is the freeze dried. Have you made duck jerky and is there a need for any different instructions? My 11.5 year old Olde English Sheepdog is obsessed with duck and I saw the grocery store had fresh duck yesterday, due to the holidays, and I immediately thought….hmmmm..I wonder if I could make my own? As it turns out, we had our first freeze here in central Texas this morning so it’s finally cool enough to have the oven on! Thanks for posting the recipe! Your boxer is precious! I’ve not made duck jerky — yet — but I imagine it would be no different than making chicken jerky. Just make sure it is fully dehydrated to eliminate any chance of spoilage. I keep my jerky in the freezer and fridge just to be safe. An OE Sheepdog? They’re a great breed. My Max loves “jerky day”. He’s like a child watching Christmas cookies baking. Thanks for stopping by. Feel free to ask if you have any questions. Have a great Thanksgiving! Oooh my! I’m glad that your nice blog. This is a great idea for a dog treat. ChgoJohn! Yes, you are right to use the cheaper cuts of beef. Have you any idea for different cuts?? Thank you so much for nice sharing!! You’ve certainly given me something to think about. I hadn’t really considered the possibility since a dehydrator would only be used for my dog’s treats. I do intend to check the out, though. Thanks for the visit and for taking the time to make the suggestion. Happy Holidays! Thanks for the recipe. I plan on making jerky treats for our Husky. She really enjoys salmon, and duck. Not sure how to get duck, but I’ll see if someone will allow me to make jerky for them as a trade for a duck. I hope you found some duck. It’s far too expensive for me to give it to Max. Besides, he’s very satisfied with chicken or beef. He still sits at the oven door waiting for me to bring them out. Happy holidays! I restrict the types of proteins, too. He’s never been fed duck, buffalo, rabbit, and a few others. This way, if he develops allergies, I have proteins “in reserve”, although I’ve been fortunate and haven’t had to switch him. Right now, he’s getting beef, turkey, and salmon. I plan on being around WP far more regularly. Feel free to ask me any questions and I’ll try to answer you. Happy holidays!!!!! Marinades are really for us, the dog doesn’t care. I might sometimes sprinkle parsley on chicken before dehydrating but that is it(unless I plan to marinate for him and then is a pineapple juice based marinade – very little salt). Chicken breast is very easy(just make sure it’s part frozen so it cuts better), also beef or veal heart. It is lean meat, cheap and I use the extra cut off bits to make broth for his water. I keep all his treats in mason jars, lol is 8 and very healthy on grain free and homemade treats. Ah! So glad your dog enjoys the jerky. Thanks for dropping by to tell me.